Kleinmond, Western Cape, South Africa: We are a retired professional actuary and teacher are visiting Melbourne as part of a holiday including the Melbourne Cup and a wedding. Our comfortable home is 90 minutes from Cape Town. The Whale coast of the Western Cape is in the Kogelberg Biosphere Reserve supporting 1600 species of fynbos; apart from the opportunities for watching whales there are many hiking trails, beautiful beaches, three golf courses within 30 minutes and a harbour for launching small boats. Camberley, Surrey, England: I am emigrating to Western Australia and I am hoping to arrange one or multiple house swaps for my UK home for the first 24 months after my arrival. This is a modern 2 storey detached house in the leafy suburban town of Camberley, easily commutable to London. 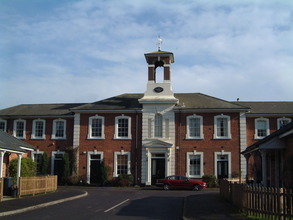 The house is within an Executive development of mainly larger houses, in a well regarded neighbourhood. Adderbury (Oxford), Oxfordshire, England: We are George & Claire, we got married in April this year and want to try house swapping for our honeymoon! Spacious three bedroom home in gorgeous, friendly Oxfordshire village. Friendly village with great local shop and pubs, lots of nice walks and cycling. Nearest town is Banbury with good facilities (swimming, bowling, shopping etc) with direct trains to London, Birmingham & South West. Close to Oxford and Woodstock and beautiful Cotswold villages/countryside. Calstock, Cornwall, England: There is only myself in the exchange party. I am looking to spend a winter in the mountains preferably in Canada or Norway as I want to improve my cross country skiing in training for an expedition. My house is a beautiful three bedroom property overlooking the River Tamar in picturesque Calstock. The village is just ten miles up river from Plymouth but is surrounded by stunning countryside. It is a very friendly village with a pub that serves good food. There is a small village shop for essential items but the town of Tavistock is close for all your needs. London, England: I am a writer so am always open to the idea of swapping with someone in the UK for a change of environment. If you fancy a city holiday - let me know. I like the idea of a house exchange and love the idea of people being happy in our home which is a place which is full of love, light and happiness. The flat is a bright, sunny new build in Queen's Park, West London. Within very easy walking distance of Portobello Road market. Kelowna, British Columbia, Canada: We wish to spend two or three months in England near our parents in Norfolk, and also take the opportunity to tour the Continent. We have an important birthday to go to in July 2012 so that is the month that at the very least we need to have the house swap for. Ours is a townhouse in a gated community restricted to persons over the age of 55 (at least one person must be of this age). Our townhouse backs onto a beautiful park area with a stream and surrounded with a privacy fence. Kelowna is a small city situated on Lake Okanagan, a large freshwater lake noted for its cleanliness, beauty, and hot well-maintained sandy beaches. London, England: I am Italian and my boyfriend Australian. I am running the NY marathon on the 6th November 2011 and I would like to exchange from the 2nd to the 10th November. Non-simultaneous exchange is possible as we travel a lot. My friend will be running with me so we are a party of three. We have a one bedroom modern flat in the heart of London, 2 minutes walk from Tower Bridge and a 5 minute walk to London Bridge Station. Winchfield, Hampshire, England: We would love to make friends with people we swap with. We value cultural diversity, love to travel and see places beyond the superficial tourist level - hence home swap. Superior character home in a small safe community in rural Hampshire. Magnificent 12 feet high ceilings, plenty of natural light, all the main rooms are large and spacious. It is beautifully furnished but lived-in so it's cosy and comfortable. Go for a walk along the charming canal and Tundry pond and watch the ducks, swans, deer, squirrels and foxes in this area of natural beauty. Take a 5 minute stroll to a delightful country pub with gourmet food, managed by our friends, enjoy cricket and BBQs in the summer. Bristol, England: I am a freelance musician and live here in Bristol with my son, Joe (17) who is just about to return to Bristol College to study A levels. He is MAD, and I mean MAD about football...an Arsenal supporter, as we used to live in London right near the stadium. This is particularly the reason for wanting Barcelona as we are coming over for a football match as well as to visit the beautiful city which we have been to before. We have a two bedroom maisonette (Ground floor and first floor) in a large Georgian house, a period building with high ceilings. Self contained, own entrance with front garden. We are in South East Bristol, about 20 minutes by bus from the city centre. Pendeen, Cornwall, England: We are a family of 4, 2 adults and 2 children (9 month old twins). We are looking for a house in the Cambridge area to swap with for some time over the summer period so we can be near family as they undergo medical treatment. Our family home is a 3 bed room double fronted traditional Cornish cottage in a village at the west tip of Cornwall close to numerous beaches and a few miles from St Ives and Lands End. London, England: My husband and I are 60+ professional people who work in the arts. We wish to spend 6 months living in Tuscany or Sicily or Sardinia or similar to celebrate the beginning of Retirement. Beautiful quiet apartment on ground floor in secure block in central London just half a mile from Houses of Parliament. Communal garden and sunny private patio area. Cushendun, Northern Ireland: We are a party of 3 (Denis, Judith and our 9 year old son, Matthew). We are travelling to New York to be close to our daughter, Jasmin, who is attending a summer drama school for a month. Our holiday home in the picturesque and quaint seaside village of Cushendun - a designated Area of Outstanding Natural Beauty on Ireland's North Coast. Just a short stroll from the harbour and beach, this idyllic location provides a real contrast to city life. Homes offered for home exchange - how do I know members own the homes? Q: How do we know for sure that the people offering their house or apartment for exchange are the legitimate owners? A: When a new member joins Home Base Holidays, he/she completes a form, giving full contact information, including street address. For members’ security, this information is not available to other members (members decide when they are ready to share contact information directly once they are in the process of arranging a swap). As all members pay a subscription on a secure payment site when joining, and must enter the address where their credit or debit card is registered, this information can be matched to the address of the home listed. As most members exchange their primary or only homes, this address match-up provides security that members do own the homes listed (or in some cases, rent, and exchange the home with their landlord’s permission). Scammers who claim to own homes they don't target the rental, rather than the home exchange, market as their sole aim is to have rental money wired before the victims arrive to find that the home either doesn't exist or, if it does, does not belong to the person who claimed to be the owner and took their money upfront. It generally takes several weeks to arrange a home swap, during which time members are getting to know each other (initially, until they get to know and trust you, potential exchange partners may have concerns about you too! ), and can also exchange references. As previous exchange partners are ideal referees, and if you are still concerned, you might want to arrange your first exchange with an experienced exchanger (you will see this information, when available, in home exchange listings under the personal details section). A: Generally home exchange members just clear enough space in wardrobes and cupboards to enable their exchange guests to unpack and store their clothes and belongings. Leave your home clean and tidy but, as your home doesn’t need to be ‘de-personalised’, there is no need to store anything except personal items or items of value or sentimental value that you would be concerned about. If you have the space, you might want to store such items in an out of bounds, locked room or cupboard, or ask a friend to store smaller items. If not, make it clear in the notes you leave for your exchange guests if there is anything you don’t want them to use. It can help to exchange with people similar to yourself, e.g. if you don’t have young children, and may be concerned about damage to carpets or furniture, it’s best to exchange with adults only. As you will be corresponding regularly before the exchange takes place, you will be getting to know each other and should feel comfortable about leaving most of your belongings in your home by the time the exchange takes place (your exchange partners will be trusting you to take care of their home and contents too!). What you decide to store before their stay is up to you – it’s best to store anything you would feel anxious about. For additional information read the Home Base Holidays guidelines on organising home swaps. Our Silvermills apartment is in a small exclusive modern landscaped development ideally situated between the Georgian splendour of New Town, and the village of Stockbridge, noted for its restaurants, cafes, bars, boutiques and shops. The apartment is an ideal base to access the attractions of Edinburgh - Castle, Holyrood Palace, the Royal Mile, Theatres, Galleries, Botanic Gardens, Leith and more. It is only 15 minutes walk from Princes Street and is also conveniently placed for buses into Edinburgh Centre and the major tourist attractions. See further information on Maggie's attractive home exchange offer and more photos of her apartment. Home Base Holidays members: log on and view home exchange offer 25425. Travel the home exchange way - 7th anniversary! Seven years ago today we started this blog to publish regular posts on everything home exchange related, to supplement the information on the Home Base Holidays website and in our monthly Home Swappers newsletters. There has never been a shortage of topics to cover, with many posts based on comments and questions from both members and enquirers considering home swaps for the first time. If you have suggestions for topics or would like to share your own home exchange experiences please do contact us - useful feedback is always welcome.